1982 Dell Yearling paperback edition. I dare you to take one look at this cover and not be at least a little creeped out. For me, its the facial expressions that do it. 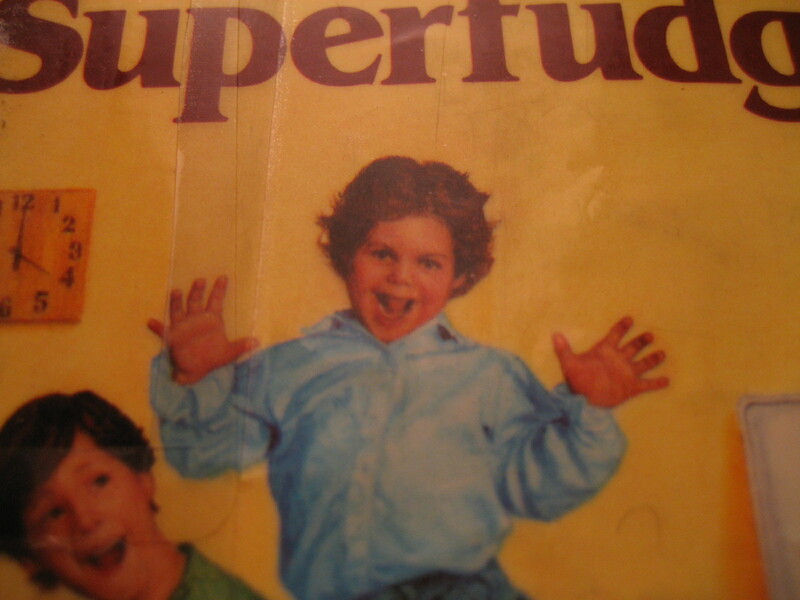 Thankfully “Superfudge” has undergone a few makeovers since this one. 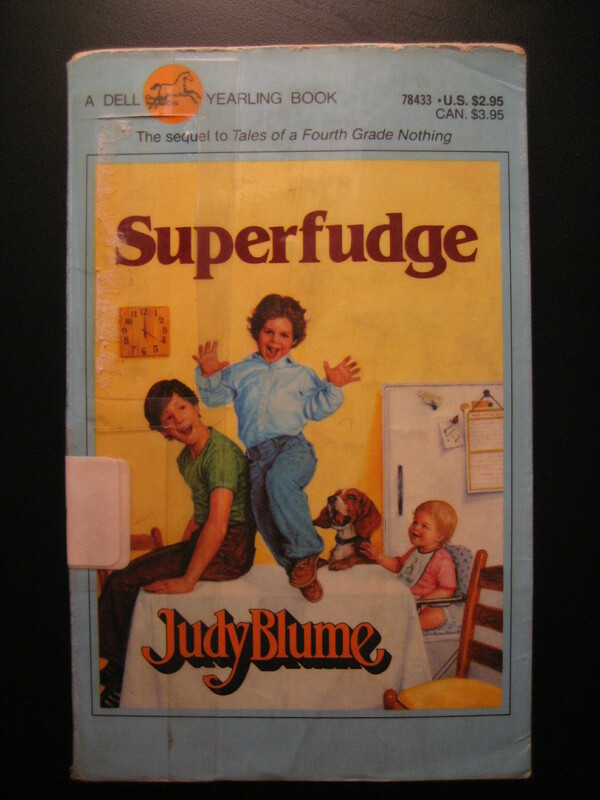 I never read this book but it is the one cover in your series that I distinctly remember from when I was in elementary school. So at least it is memorable, for better or for worse. I wonder if I would have actually read it if it had a better cover.